What Can MRI Do for You? 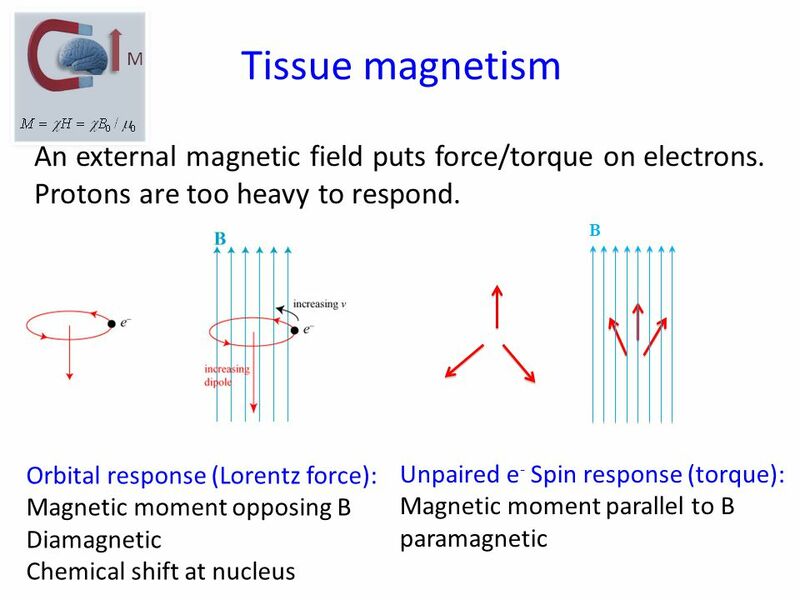 Yi Wang Noninvasive imaging cellular/macromolecular contents molecular magnetism transport processes. 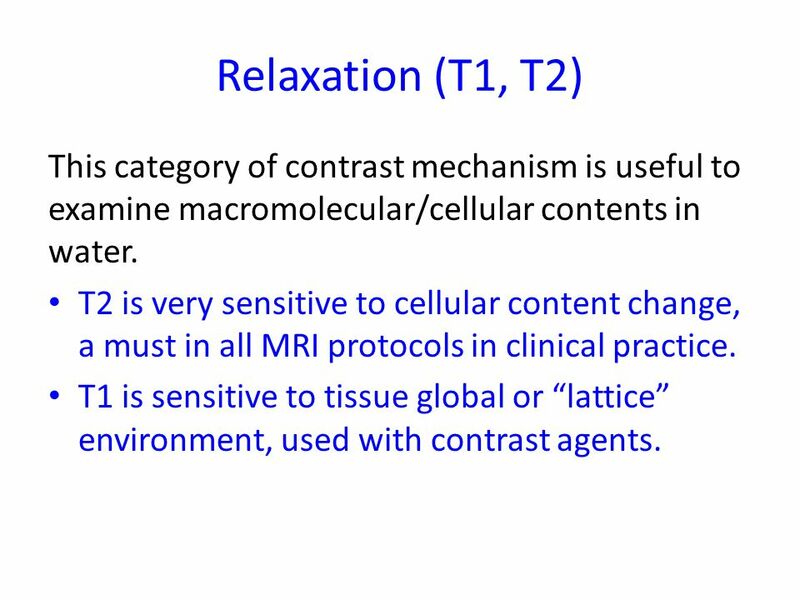 9 Relaxation (T1, T2) This category of contrast mechanism is useful to examine macromolecular/cellular contents in water. 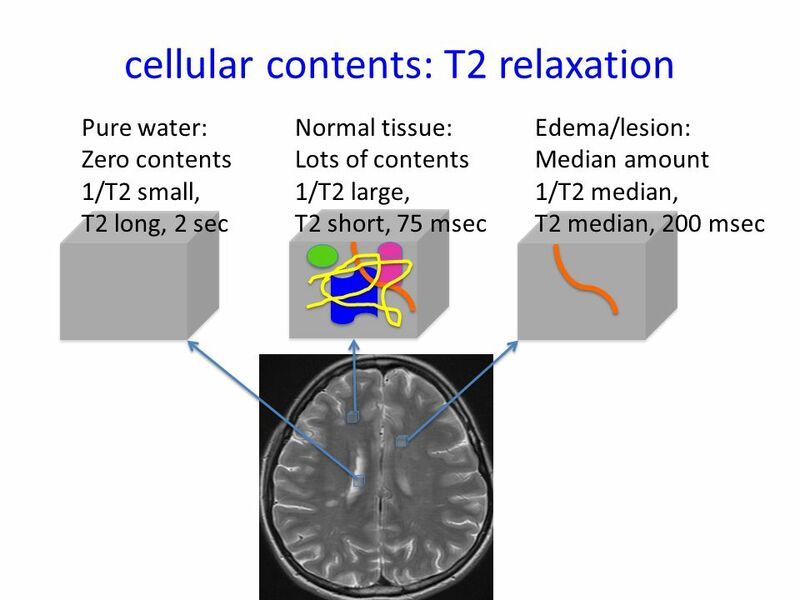 T2 is very sensitive to cellular content change, a must in all MRI protocols in clinical practice. 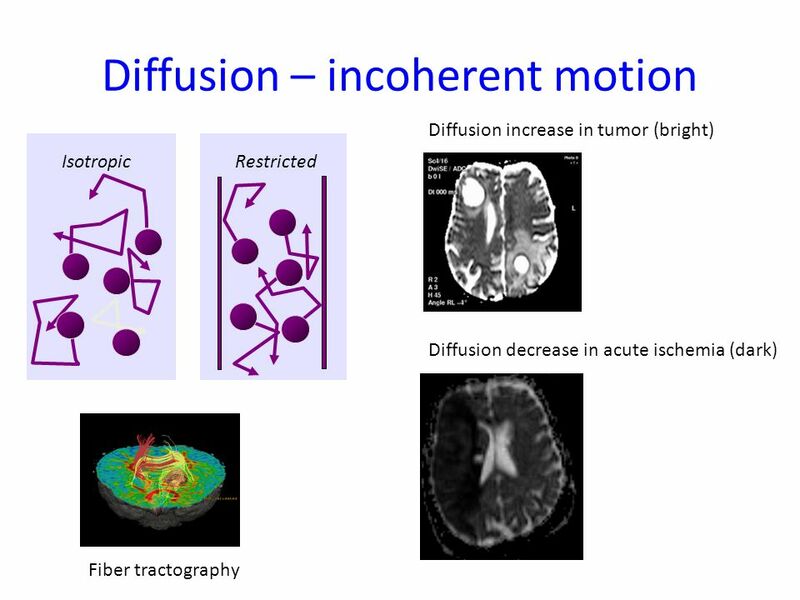 T1 is sensitive to tissue global or “lattice” environment, used with contrast agents. 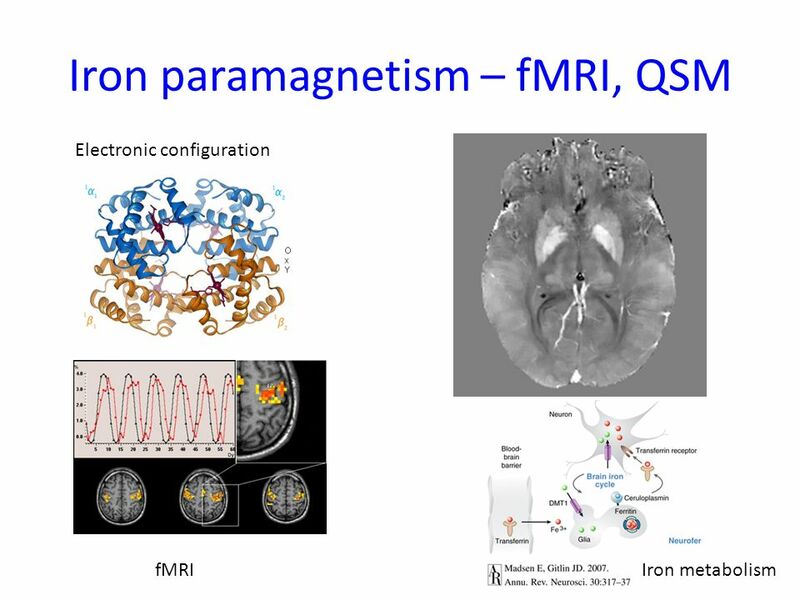 Download ppt "What Can MRI Do for You? 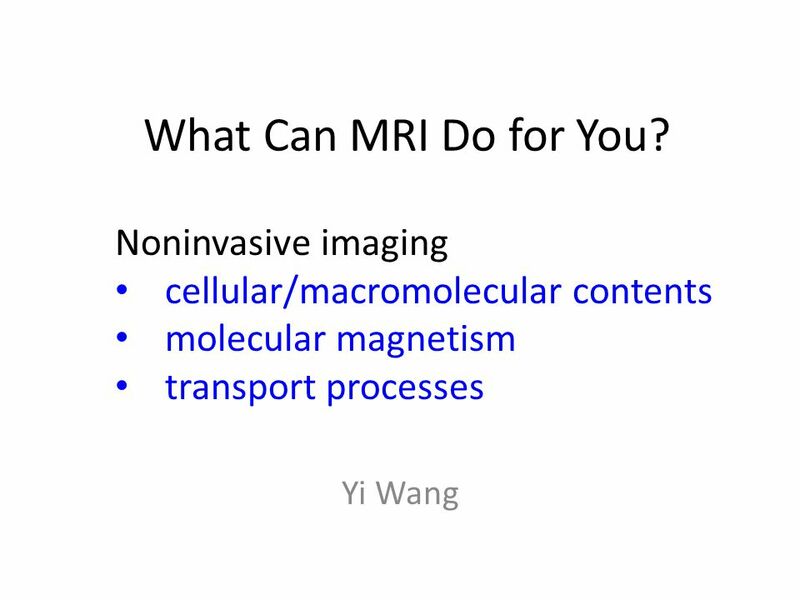 Yi Wang Noninvasive imaging cellular/macromolecular contents molecular magnetism transport processes." True or false? Cyanide is poisonous because it binds more tightly to the iron in hemoglobin than does O 2 and cause suffocation. The Singapore government. Principles of MRI. Some terms: –Nuclear Magnetic Resonance (NMR) quantum property of protons energy absorbed when precession frequency matches radio frequency. Equipment Magnetic resonance imaging (MRI) scan requires the use of a very strong magnetic field. Unlike other devices used in radiology, MR imaging. Magnetic Field (B) A photon generates both an electric and a magnetic field A current passing through a wire also generates both an electric and a magnetic. 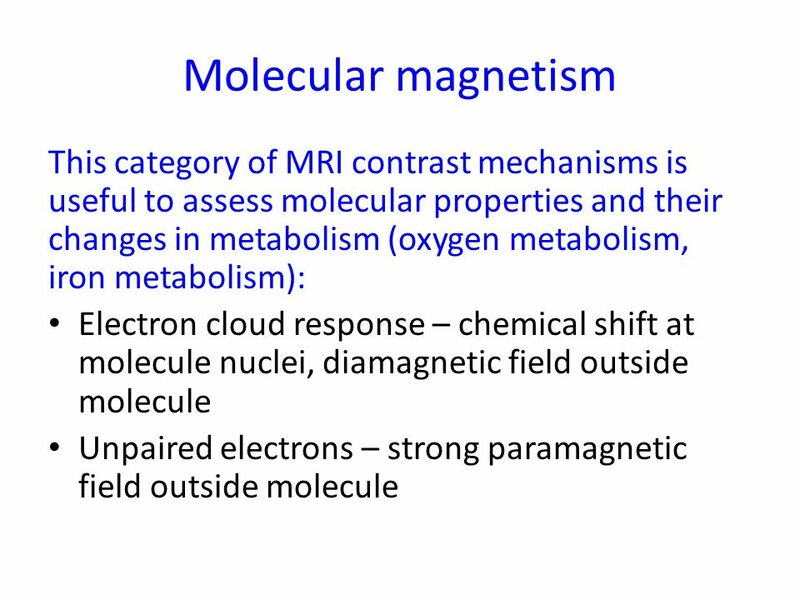 MRIMagnetic Resonance Imaging fMRIfunctional Magnetic Resonance Imaging NMRNuclear Magnetic Resonance radio wave region EPR or ESR Electron Paramagnetic. 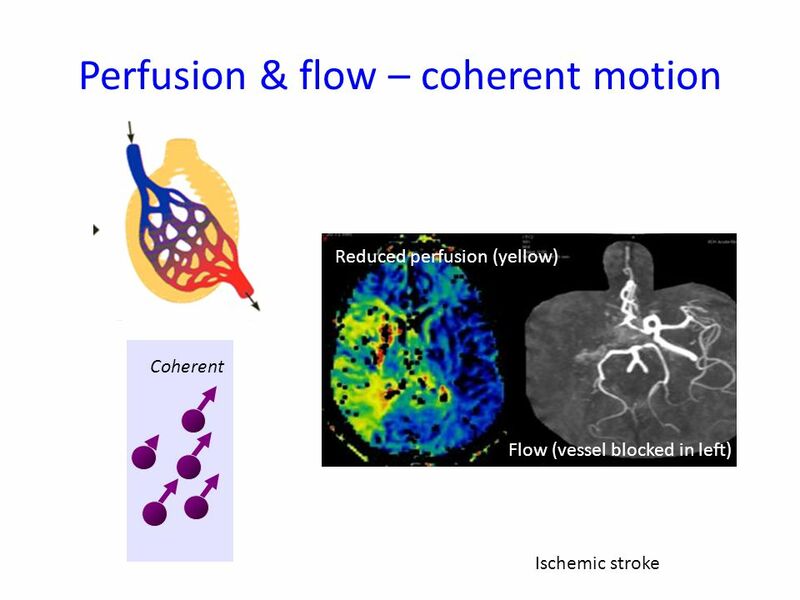 Structural and Functional Imaging Functional images tend to be lower resolution and fail to convey spatial information Pixels. PHYS 270 – SUPPL. #4 DENNIS PAPADOPOULOS FEBRUARY 2, 2009. 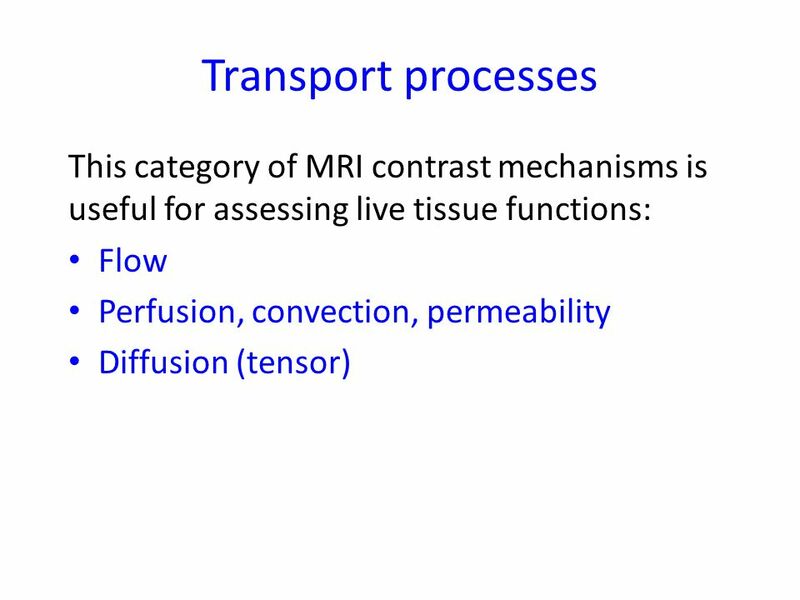 FMRI: Biological Basis and Experiment Design Lecture 5: non-BOLD MRI Equilibrium and excitation Relaxation rates Image contrast –TE –TR. Chem 125 Lecture 63 Preliminary 4/1/08 Projected material This material is for the exclusive use of Chem 125 students at Yale and may not be copied or. 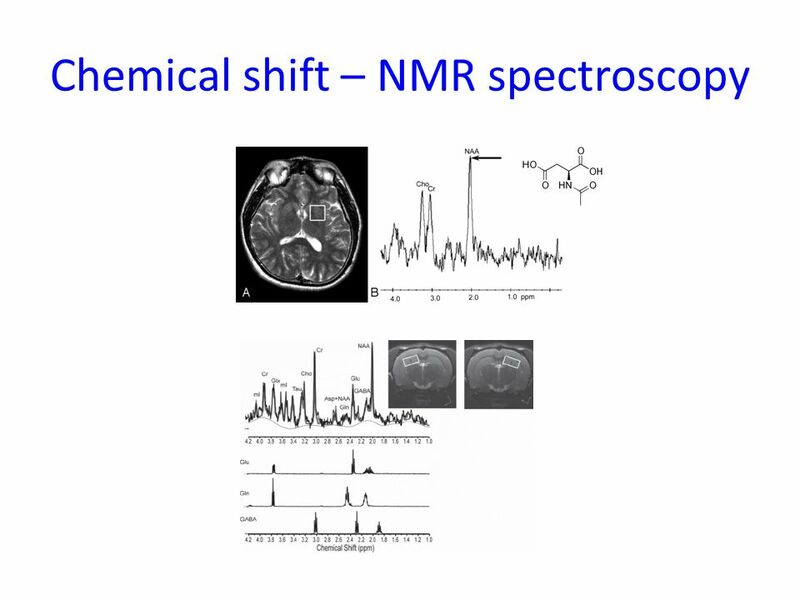 NUCLEAR MAGNETIC RESONANCE SPECTROSCOPY - an ideal tool for Diagnosis & Drug Design B. HASEENA BANU Asst.Professor,SriPadmavathi School of Pharmacy,Tiruchanoor,Tirupati. Www.ecf.utoronto.ca/~joy September, 2003BME 1450 Introduction to NMR 1 Nuclear Magnetic Resonance (NMR) is a phenomenon discovered about 60 years ago.